Home Non-fiction Education Everyday Skeptic, Part 2: What is Truth? Note: the video contains the same information as the article, but in a more conversational form. Now that we have established why it is important to be skeptical, and what sort of situations should prompt you to be extra careful, we can dive into the methods used to be skeptical. Being a skeptic doesn’t mean you disbelieve everything and everyone, it means that you demand proof of claims before you commit them to belief or take action. In future articles, we will delve into what constitutes good and bad sources of evidence, and how to tell if evidence is used properly. For now, let us discuss an important logical concept: truth. I. What makes something true? Vaccines cause autism. Mount Whitney is 14,505 feet tall. Vaccines don’t cause autism. Mount Whitney is not 14,505 feet tall. The reason negative claims don’t count with skepticism is because of how ambiguous they are. In the affirmative, the truth is precise and real. In the negative, ambiguity abounds. If I say vaccines don’t cause autism, I am, in a sense, making a true statement, but the statement is essentially useless for proving something. What does cause autism, if vaccines do not? If I say that Mount Whitney is not 14,505 feet tall, then how tall is it? It could be any other height. We don’t know anything about those subjects. This is why it is important to phrase all claims as a positive, rather than a negative, and to demand that claims make a positive statement. I make negative statements frequently, but I am not making a claim, I am showing lack of evidence supporting a positive claim. What makes evidence “credible” is a complex discussion best left for its own article, but the concept of “affirmative” evidence is logically simple. Affirmative evidence proves the claim; it is what makes it true. Affirmative evidence is not evidence that shows other claims (even the opposite of the original claim) to be false. It proves the claim using some form of objective observation and objective measurement. If, for example, the claim makes a prediction, then affirmative evidence would be an observation of the prediction coming true. Statement: A bowling ball and a marble always fall towards the ground with the same acceleration (the same speed). Affirmative evidence: A bowling ball and a marble were dropped at the same time from the top of the leaning tower of Pisa. In 1000 repetitions, acceleration between the objects was always the same as measured with a precise timer (in other words, they hit the ground at the same time). Notice that the evidence is not in opposition to the statement, but is doing exactly what the statement predicted. It is also falsifiable, which means there is a possibility for the evidence to prove the statement wrong. If the two objects fell at different speeds, the evidence would make the original statement false. Statement: A nut is a fruit. Counter-claim: A nut is not a fruit, it is a vegetable. Non-affirmative Evidence: A vegetable is a non-reproductive part of an edible plant. A nut is not a vegetable. Therefore it is a fruit. The evidence proves that the nut is not a vegetable, but fails to provide evidence that a nut is specifically a fruit. The nut could still fall into any category that is not “vegetable.” The original claim has not been proven because it still lacks affirmative evidence. 3. No credible contrary evidence (evidence that makes the statement untrue). Contrary evidence can take many forms, but generally it is evidence that negates the claim (or hypothesis) by showing the existence of something that must not exist for the claim to be true. It falsifies the claim. It is still positive evidence, not a lack of evidence. Using the above example of the bowling ball and a marble, contrary evidence could be a single instance of the bowling ball and marble falling at different speeds toward the ground. This negates the word “always” in the statement. The contrary evidence becomes even more significant when there are more deviations from the hypothesis, like if the marble had fallen different from the bowling ball 20 times. Contrary evidence is different from a lack of evidence, which will be discussed in the final section of the article. It is evidence that specifically goes against a claim. 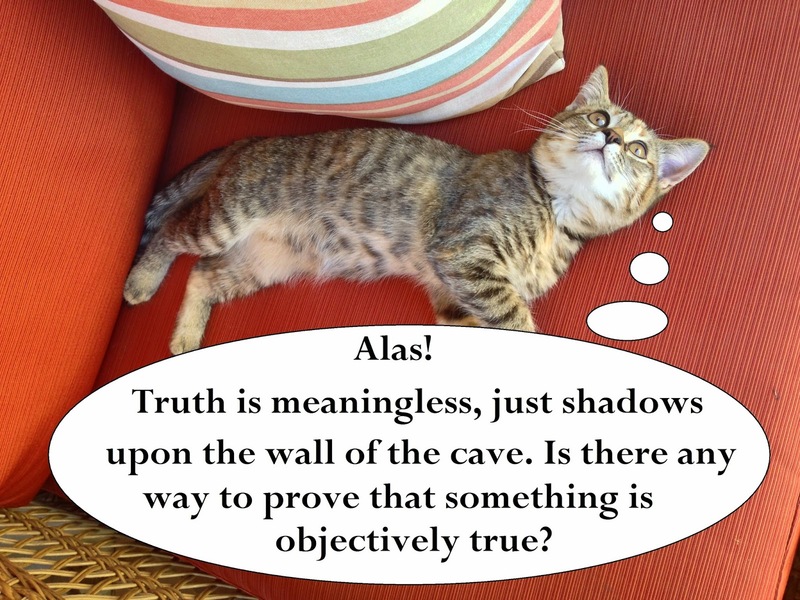 When you come to understand just what a true statement is for a skeptic, you should also apply another important idea to truth, which is the burden of proof. The burden of proof refers to who in whatever debate or claim needs to be presenting affirmative evidence. The burden of proof is always on the person making the claim. It is not your job as a skeptic, reader, or audience member to assemble affirmative evidence. It is always the job of a person making the claim to present such evidence to you. As a skeptic, it is within your role to find contrary evidence, if you wish. This is unnecessary if the claimant lacks either a positive claim or fails to provide affirmative evidence. You should avoid eating GMO corn until it is proven safe. First, the statement actually lacks a positive claim. It is saying that GMO corn is not safe. The positive claim would be that GMO corn is dangerous. Then, the claimant would have to provide evidence. Second, no evidence is provided or referred to. The claimant, by claiming you should avoid GMO corn “until it is proven safe,” is shifting the burden of proof away from him/herself and to an unspecified third party. The burden of proof is an important keystone of our legal system. Individuals are presumed innocent until proven guilty. When the state prosecutes somebody for a crime, it is their job to provide affirmative evidence of guilt, that the person in question actually did the action he is accused of. When somebody is guilty until proven innocent, the burden of proof has shifted from the person making the claim (the prosecutor) and to another party. As it is with people, so it is with claims. The burden of proof rests on those who make a claim. III. True, False, and …? Using the logic above, not all claims are like questions on a high school history exam, where they are definitively true or false. Claims can be true, if supported by affirmative evidence, or false, if proven false by contrary evidence, or they can occupy the space between the two, and remain unproven. Unproven claims are those that fail to have affirmative evidence backing them, but also lack contrary evidence proving them to be false. They represent a lack of evidence on either side. These sorts of claims are often unprovable by their nature. They may make a claim about something that cannot physically be tested, or whose tests are not falsifiable. They make a negative claim instead of a positive one. Remember, for a claim to be proven it must be a positive claim, have affirmative evidence supporting it, and be free of contrary evidence. Sometimes there is evidence on both sides of a claim, as few sciences are as cut and dry as mathematics. However, if a claim lacks these three critical elements, then you ought to ignore it.